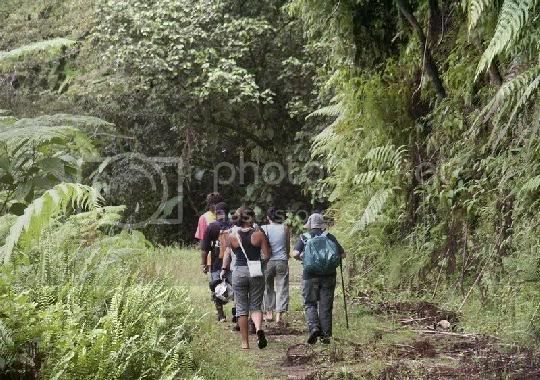 From our base we travel up the Roseau Valley to the Village of Laudat and the Freshwater Lake, where we begin the Cross Island Hike. From the Fresh Water Lake we hike across the island's rugged and forested landscape, where the vegetation re-defines the definition of the color green, to the southeast village of Grand Fond. In Grand Fond you are met by vehicle and driven the Rosalie River for a picnic lunch. After lunch, return via the Antrim Valley.